#BreakingBarriersAtWorkplace makes its first stop this year at British Council India, Chennai. 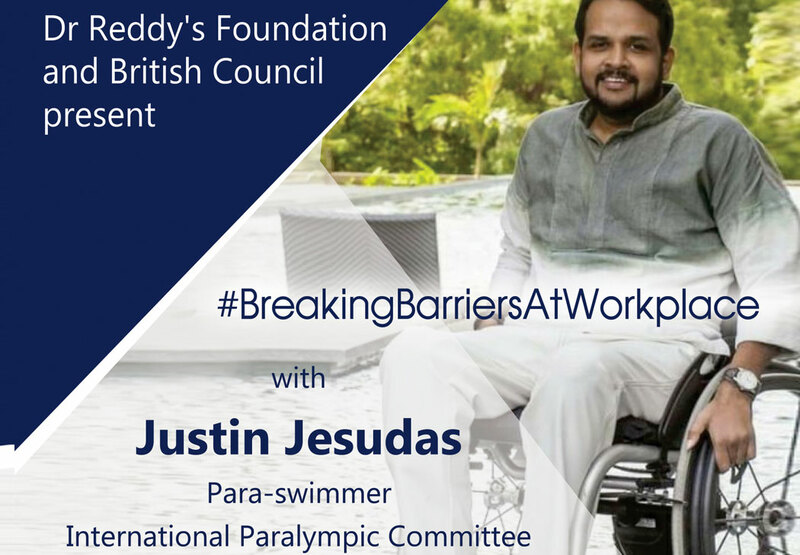 Join us in an interactive session by Justin Vijay Jesudas where he shares his insights on ‘Addressing Barriers that Prevent Inclusion of Persons with Disabilities at Workplace’. 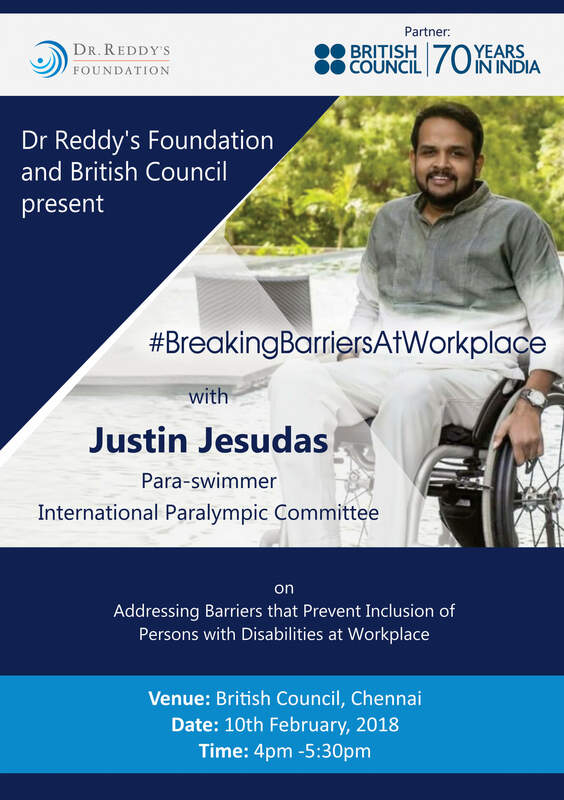 #BreakingBarriersAtWorkplace is a nation-wide campaign started by Dr Reddy’s Foundation, to promote the need to build an inclusive society and implore organizations to sit-up and take notice of Persons with Disabilities as a significant workforce who can contribute to their growth. About the Speaker: Justin Jesudas is a researcher by profession; he works for Cognizant Technology Solutions. Justin is a quadriplegic (paralyzed neck downwards) after a spinal cord injury. He is an international-level swimmer and the current national paralympic swimming champion with over 21 gold medals and ranked among the top 20 swimmers in the world for his category. He is also the national champion in rifle shooting for his category. He drives a hand operated car, enjoys long drives, beach surfing and SCUBA diving.